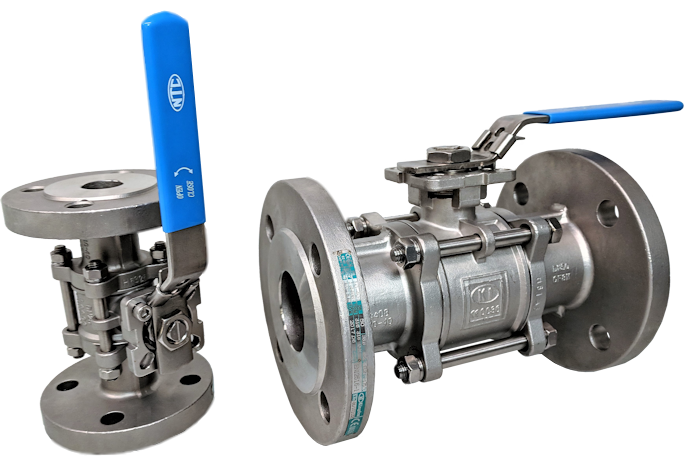 Ball Valve 3-Pce Full Bore Flanged DIN PN16/40 Direct Mount Stainless Steel NTC KV-L3F. ASTM A351 CF8M 316 Stainless Steel construction, 316 Trim. TFM 1600® Ball Seats and Seals. Ta-Luft self adjusting stem sealing. ISO 15848 Certified. 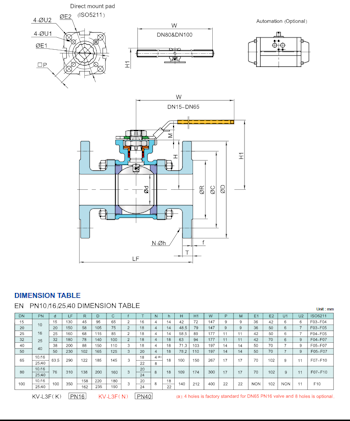 ISO 5211 Direct Mounting Pad and Square Stem for automation. Anti-Static devices for Ball-Stem-Body. ATEX certified. TFM 1600® is an FDA & WRAS certified material. Silicone Free. 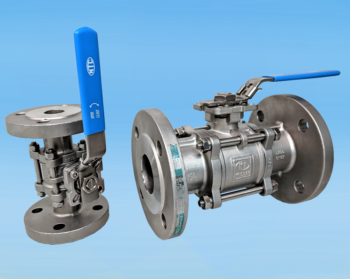 Valve suitable for use on Oil based Paints. 30, 60 and 90 Deg V-Ball for modulation duties.